You may have heard the term bandied about as if it’s a place, one homogenous ‘thing’. The truth is this: 905 is an area code not a place, not a ‘type’ of person, not a demographic and not the reason a faux kitten fancier is still in Ottawa. As for The 905 being The Suburbs of Toronto—as at least one CBC host has intimated—well, I feel it’s my patriotic duty to set the record straight. The fact is the ‘suburbs’ (which, btw, means “any place in a metropolitan area outside the central city”) are included within Toronto’s area codes of 416 and 647. 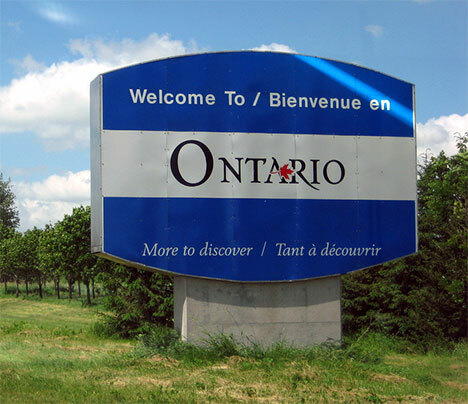 There are, however, over a hundred towns and cities across southern Ontario that have a 905 area code. But not a suburb among them. Towns and cities, a few hamlets. No suburbs. Go ahead, click on a couple and see. Click Beamsville, for instance, and you’ll find it’s a town settled by United Empire Loyalists; the industry mostly fruit and wine, and in the late 1800s the hockey net was invented there by a couple of locals. These are real places, not housing tracts. Many have old fashioned main streets and general stores, barbershop poles and diners where there’s one kind of coffee and two kinds of pie. Together they cover a huge area from Niagara Falls through wine country, over the escarpment, along the shores of Lake Ontario and up through the Oak Ridges Moraine. They include all manner of rural, urban and ‘urbral’ geography. The people also are a motely crew. Which is not the impression anyone gets, especially at voting time, when they all get lumped together like some koolaid-drinking Stepford commune. As you’d find anywhere in this great country there are descendants of those founding loyalists, indigenous folk from whom the land was taken, recent immigrants, the lovely farmers of the St. Lawrence Market, sane and mad transplants from east and west and north, including transplanted Torontonians, which has caused some of these small towns and medium sized cities to grow—but the growth has been in the small towns and medium sized cities, in the communities that have been in existence for a century or more. They are not suburbs. Not ‘types’. The 905 are a big chunk of southern Ontario. They are not suburbs. And despite the occasional, unfortunate outcome, not everyone takes the Kool-Aid on voting day. I say all this having lived in Toronto for the better part of twenty-five years, before moving to a 905 town. I still love the big smoke for all its wonders, but it bothers me when, increasingly, I hear the ‘905’ term used, especially by Toronto’s media; it’s often pejorative, always misleading, if not downright incorrect. At best it’s divisive. Bottom line: do we really need to perpetuate more division in society—is that the best use for the intelligence and the power of media? Or might it be a source of clarification and education, with a view, not to create differences, but to find similarities, understanding and cooperation . The power of many can change the world. For everybody’s sake, let’s stop type-casting. Let’s just get it right and get it together. We sort of have a similar thing in PEI with Charlottetown. They often don’t seem to realize there is a whole island outside their city (if you can call it that). It’s quite laughable, considering how small the island is. I often think of Ch/Town as having delusions of Toronto. I often think of Toronto as having delusions of Toronto. Good post, you stated your case very well.